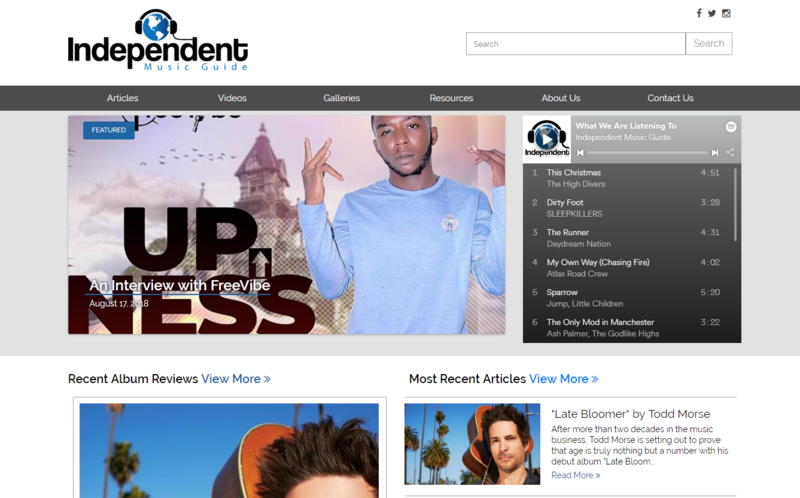 We'd like to announce our newest site: independentmusicguide.com! November has been great and we have so much to be thankful for, including the production of our latest collaboration. Independent Music Guide is the home for Indie Musicians who are looking to gather information and further their careers. Led by Director Stephanie Smith and Assistant Director Sean Knight, IMG features a talented group of contributors that provide valuable insight on topics like, "Selling merch at shows" and "How to get your music in TV shows and commercials." Independent Music Guide also offers lots of great content for music fans as well. A whopping 90% of consumers check online reviews before they even step foot inside a business’s doors 1 . People love to read reviews and look at pictures from others’ experiences. It makes them feel safe and comfortable which, in turn, makes them more likely to spend money. Unfortunately, even the best companies have off days and that’s typically when bad reviews happen. Negative reviews can be a nightmare for business owners. But even though it’s stressful, coming back from a bad review doesn’t have to be hard. By now, you’ve probably heard about geofencing and all of the marvelous ways it can make you money. But what is this wondrous mystery marketing tool? How do you use it? Does it really work? If these are the questions you’ve been asking yourself, you’ve come to the right place. Come with us on this magical adventure, where we’ll learn what geofencing entails, why marketers are using it, and how you can make it work for your business.